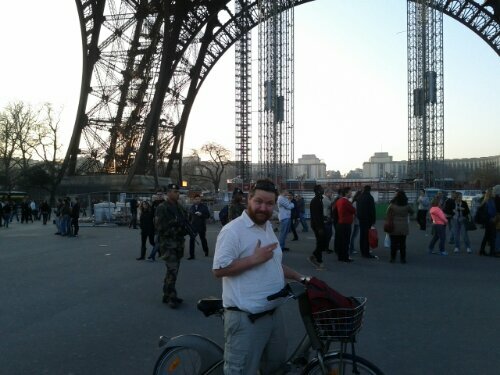 Theo and I rented bicycles to explore Paris. 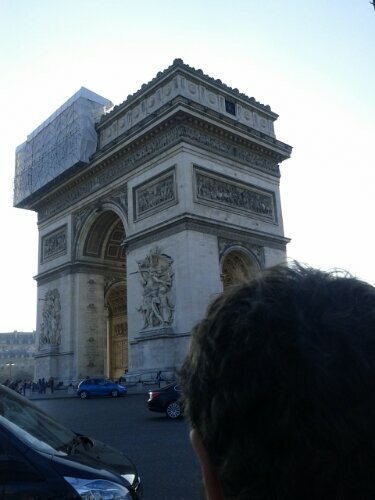 We rode down the Champs-Élysées and Theo posed with the Arc de Triomphe. Then we went for caramel ice-cream. This is a picture of Theo with the moon. 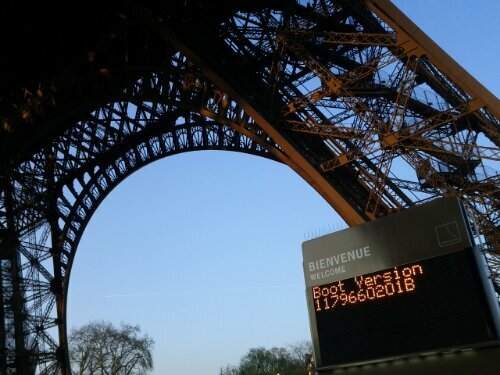 We hacked the bios of the Eiffel Tower. Armed guards were sent in to settle down the crowds we caused. 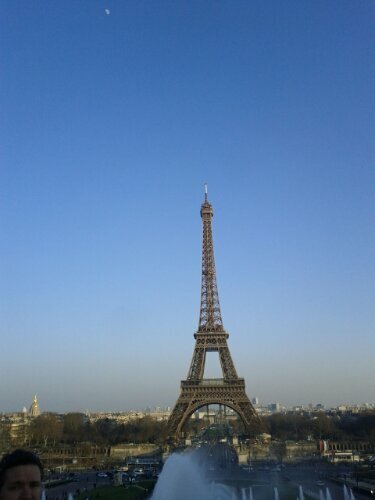 This entry was posted in Adventures and tagged moon, Paris, Theo. Bookmark the permalink.